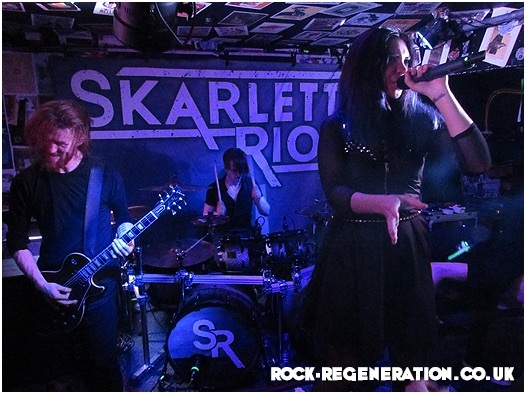 Tonight the “Skarlett Riot Regenerate Tour” rolls into Bournemouth. This is the final tour date; and if reports from the other venues are to be believed, it has been one of the tours of the year so far. 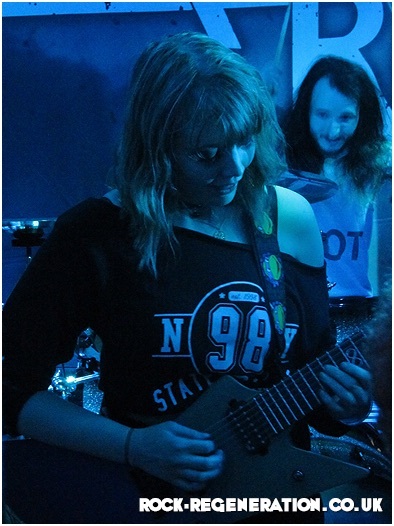 The band have had a tough time of late with various personal struggles getting in the way of the music. However, this strong-minded four-piece have overcome them and are back fighting fight and stronger from their experiences. Tonight; as well as the headliners, we have four great supports acts to warm us up on this damp Saturday evening. 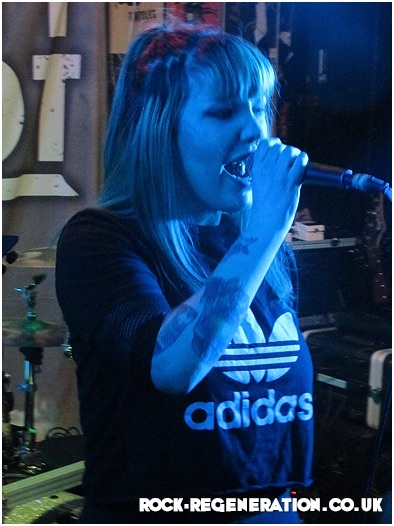 The first of these is Somerset band Pretty Little Enemy who describe themselves as the Metal equivalent of Abba, two boys and two girls who have been making huge waves in the South West; earning themselves some notable support slots with bands like The Fallen State, Devilskin and The Gospel Youth. 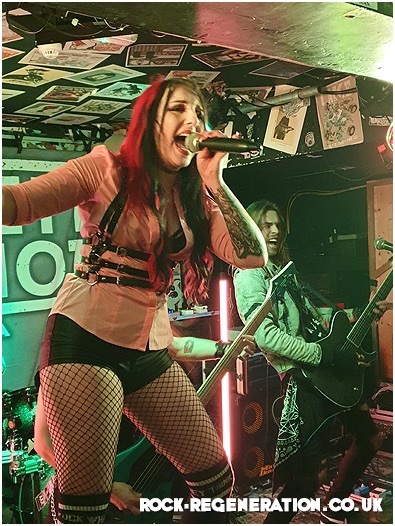 Louise (Vocals), Ben (Drums), Georgia (Guitar) and Jase (Bass) take to the stage through an enthusiastic Anvil crowd, who give the band a warm welcome. 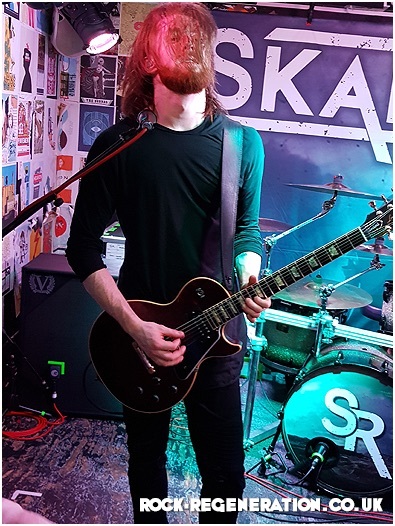 Their set is full of great melodic tunes which use metal guitar riffs and rhythms, coupled with some delightful vocal delivery. Their sharp wit and infectious energy helps them a deliver great opening set, appreciated by all who watched. 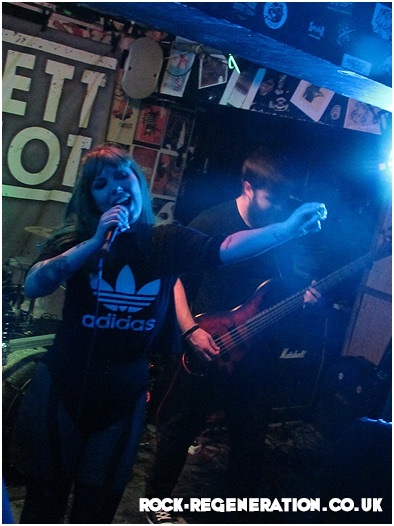 Next up; all the way from Birmingham are Sister Shotgun, who bring copious amounts of unrelenting energy to the stage. 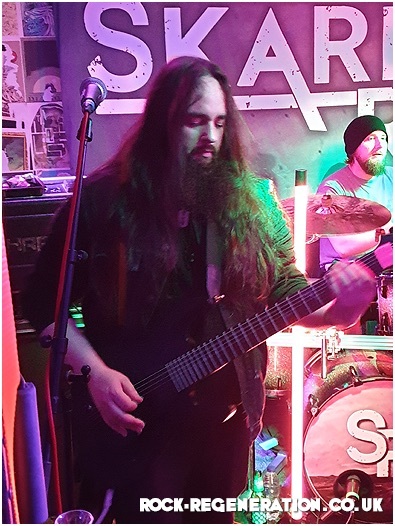 The band take no prisoners and start to get this basement venue rumbling with some huge metal riffs and pulsating rhythms. 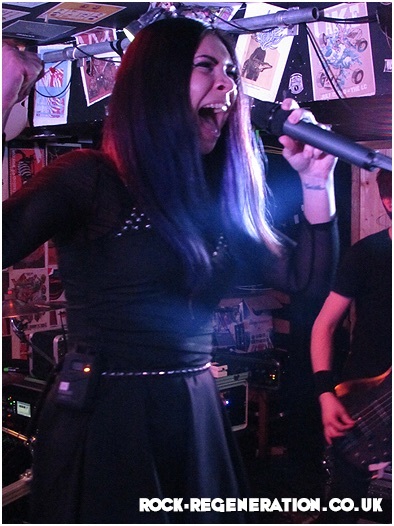 The crowd needs little encouragement and along with front girl Chloe, the audience start to headbang in unison. 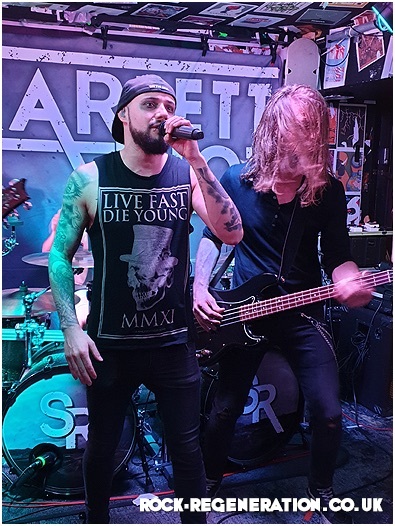 The excited crowd takes in all this band have to deliver with songs like the hard-hitting “Fragments” and from their Devour EP “Silhouettes”, which features some really impressive heartfelt vocal delivery. 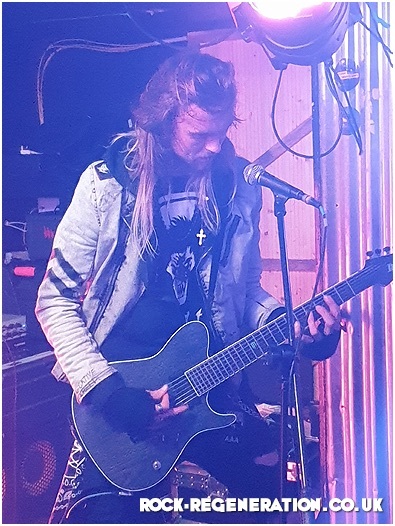 After an excellent 35 minute set, the band leaves the stage with plenty of positive noise coming from the Bournemouth crowd. 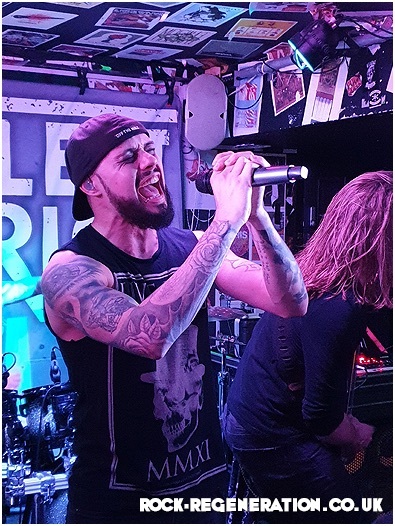 After their recent slot at the Winterís End Festival in Wareham; Fahran, a Nottingham five-piece return to Dorset as the main tour support to the headliners. 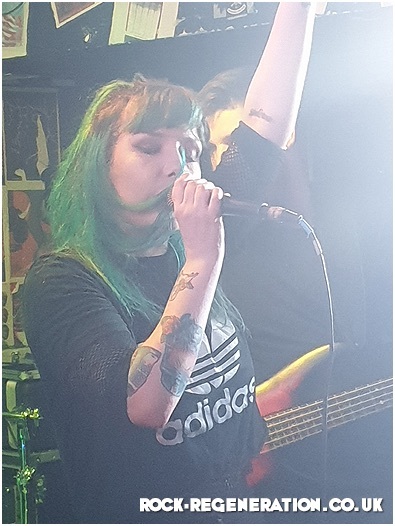 With their 2nd album Vapours on the horizon, the band are warming up for the next stage of a new album that is set to capture their feelings; personal growth, obstacles and achievements over the last 4 years. The band seems a little overwhelmed by the initial unexpected support from the crowd. 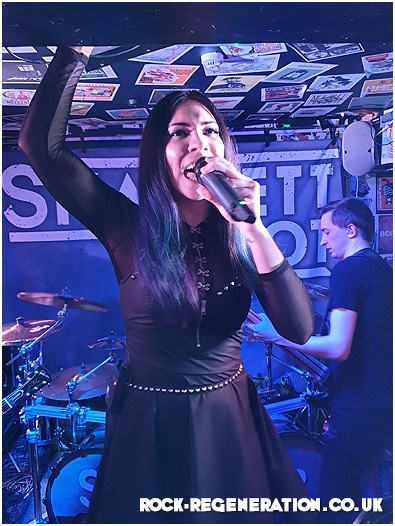 Kicking off with “Home” the band show themselves to be in fine form, with slightly heavier sound from their debut album. 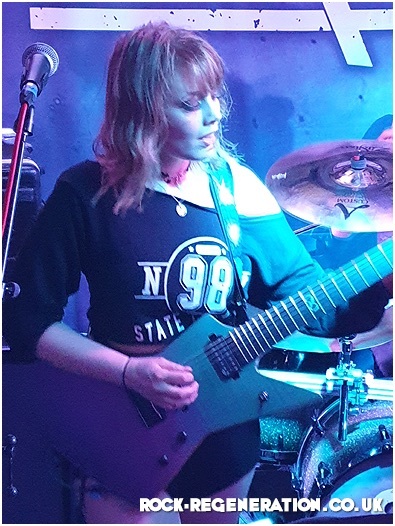 The two guitars light up the room with some fantastic melodies of tunes like new single “Pyre” and the uplifting “Stand Alone”. 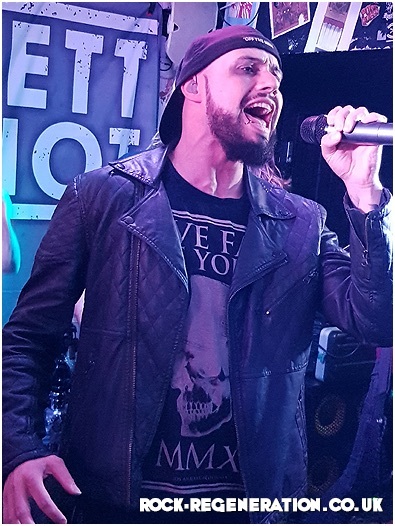 Frontman Matt Black has a really unique and powerful vocal that is the proverbial “cherry on top” of these new tunes. 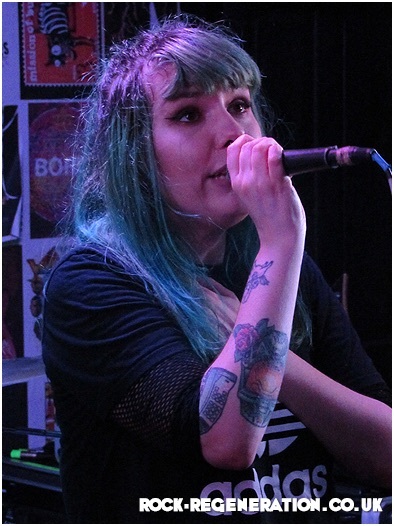 Though sadly short, their set was impressive and showed plenty of potential for their future outings. 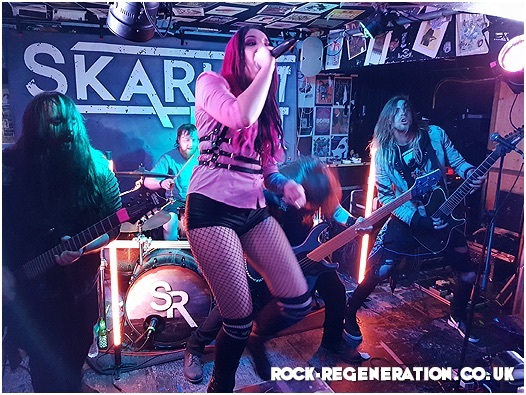 Even though this Bournemouth venue has recently been extended, the place is completely packed with everyone jostling for their place in front of next band Skarlett Riot. The band has visited the venue before but this is the first time as headliners. 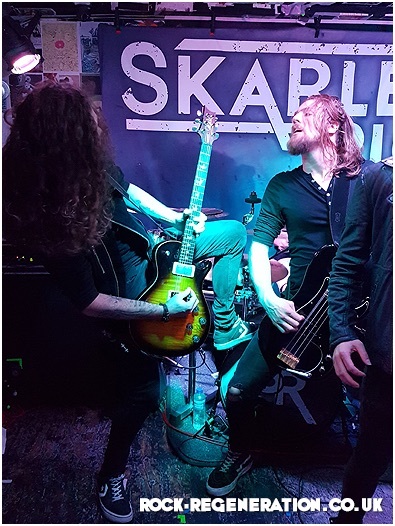 As they take to the intimate Anvil stage they get a huge welcome from the crowd, who have created such an atmosphere that you know it’s going to be good even before it starts. As the band’s first number “Break” lights up the place, it’s clear; despite this being the 9th date of the tour, that Chloe’s voice is still in fine form. 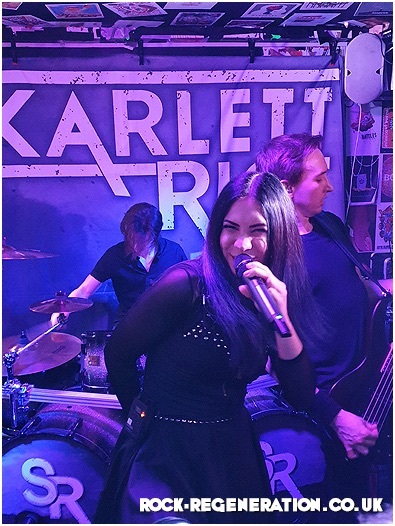 Praise must go to tonight’s soundman Nick Scott who has done an amazing job making the band’s all sound great and Skarlett Riot’s sound is no different. 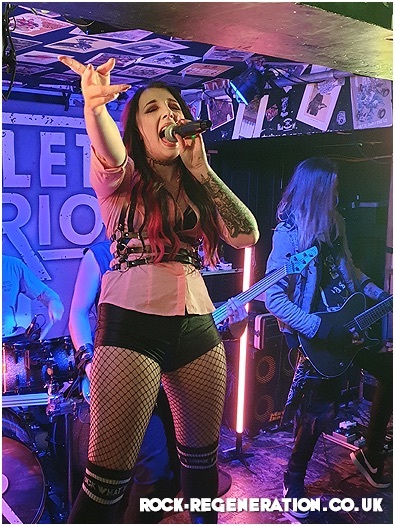 As the band goes through the set performing a host of crowd-pleasing numbers, you can tell they are all impressed with the stunning audience reaction and Chloe cannot seem to stop smiling as she delivers her near perfect vocals. One of the many highlights of the evening is a beautifully stripped down version of “Broken Wings”, where just Chloe and guitarist Danny give this great tune it’s due. 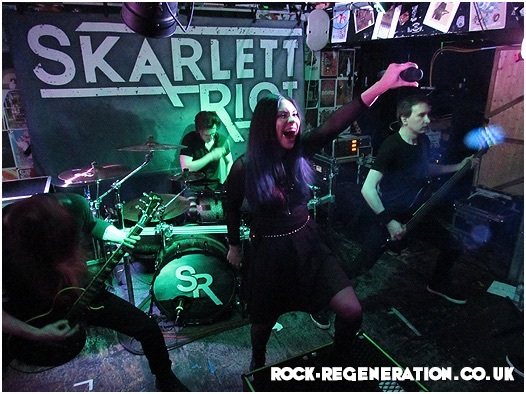 With nights like tonight could this possibly be the last time that Skarlett Riot play these smaller music venues, as they so deserve to be playing on much bigger stages. 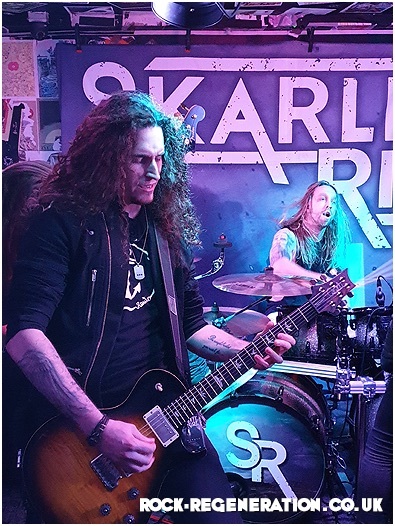 Their set ends with the epic “Warrior” where the crowd is whipped up and start a circle pit; and Danny, while still playing his guitar bravely joins in. The band leaves the stage triumphant after a truly fantastic set where they have shown they can overcome adversity and still achieve. 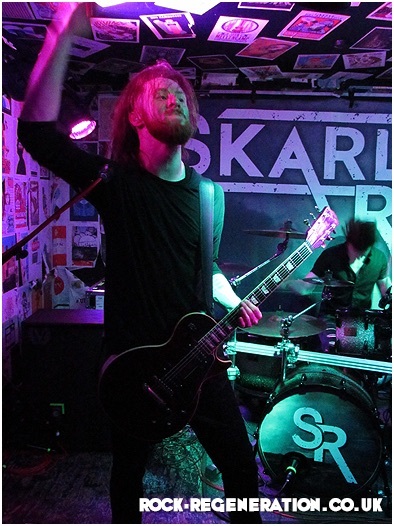 Words, Pictures & Videos by David Chinery. 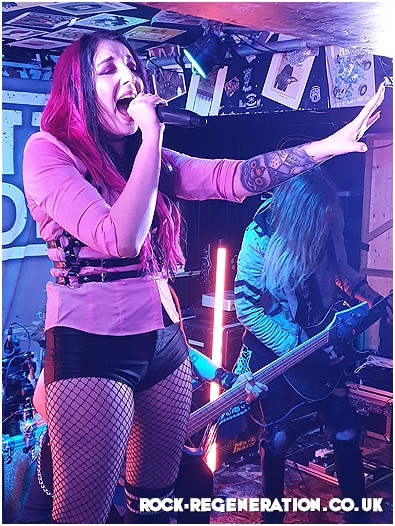 Additional Pictures by Joshy Chinery.